Jeanneau 57 Oceanica - sailing yacht avilable for skippered yacht charter- starting from yacht charter base Marina Kaštela, Split, Croatia. With 5 comfortable cabins & 4 heads layout - Jeanneau 57 Oceanica is perfect sailing yacht for luxury skippered yacht charter. Air condtioner, generator, LCD TV with boat PC and free WIFI on board will make your stay as comfortable as possibile. Oceanica is equipped with nespresso coffee machine, so you can enjoy your first morning coffe on board! Outside you will enjoy in the large cockpit area - original cockpit cushions avilable- or lounging at the beautiful teak deck. With our Jeanneau 57 Oceanica outboard engine and dinghy are included in price. Skipper is mandatory and it is not included in charter price. Skipper's fee is 150 EUR day + food. 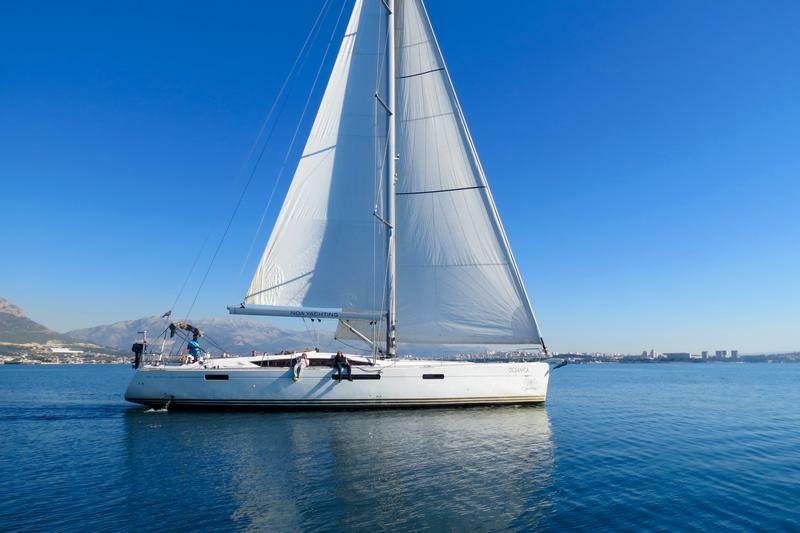 Book Jeanneau 57 Oceanica from Marina Kaštela, Split for your next skippered sailing holidays in Croatia!